Are you looking for products to expand your business range?Do you want to increase your income? Do you want to add an entertainment attraction to your place? Do you want your business to be more family friendly? KIDDIE RIDES are definitely the good choice. 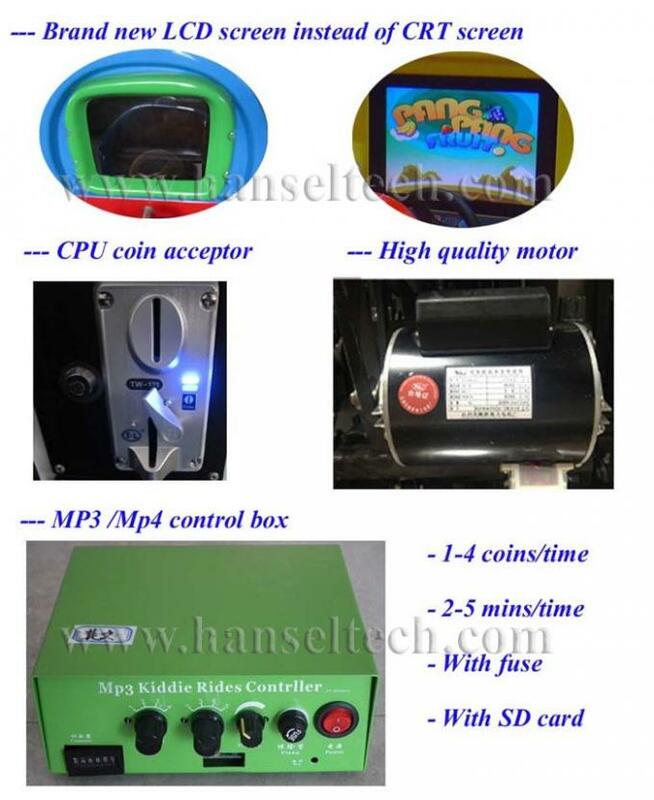 kiddie rides is an amusement rides for small children with coin operation system. 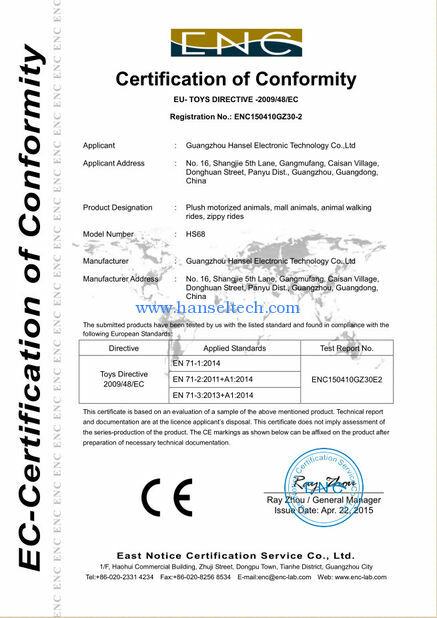 We can also call it amusement rides, children ride machine, kiddy rides, kiddie ride game machine, amusement park rides, etc. 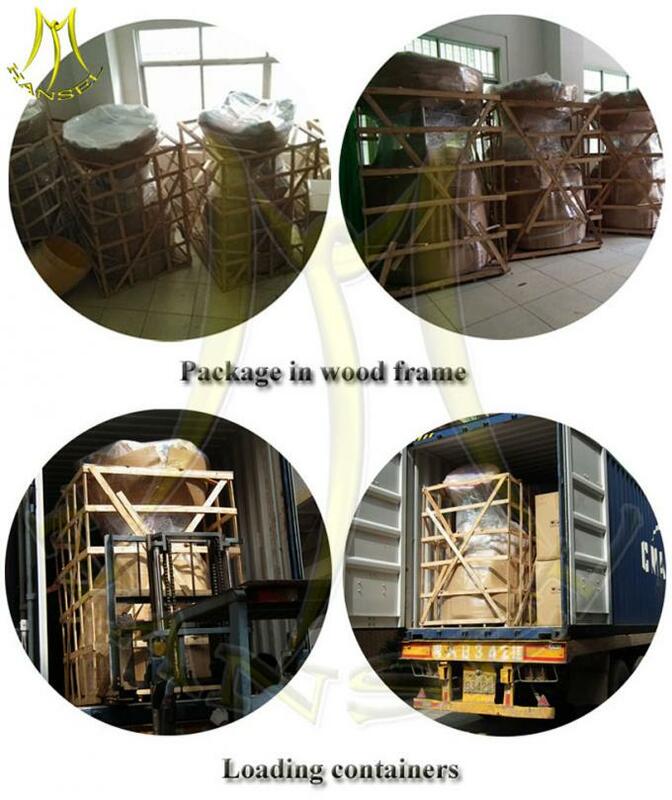 The material of outside body is fiber glass. 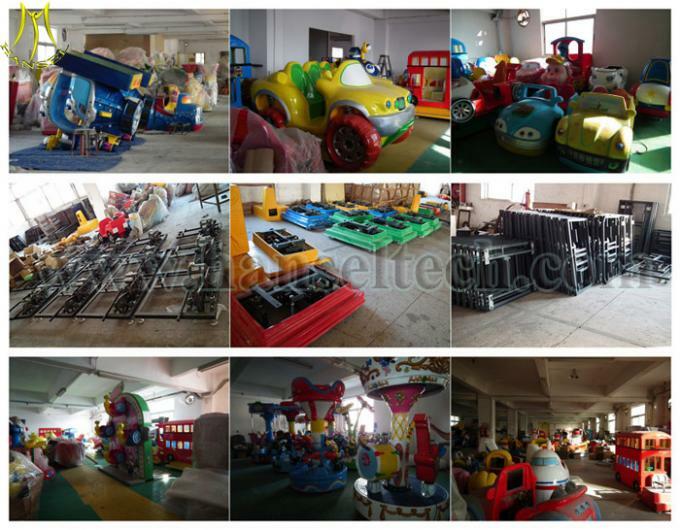 Kiddie rides are commonly available in parks, game centers, arcades, malls, hotel game rooms and outside supermarkets, stores, etc.They may also appear in other venues such as restaurants, grocery shops, etc. When activated by a coin, a kiddie ride entertains the rider with motion, depending on the ride type. 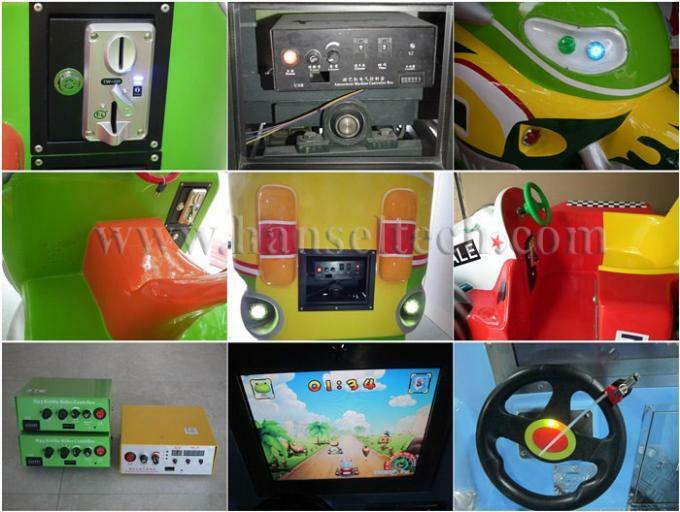 All rides include sounds and music, and some with colorful flashing lights, pedals, buttons, some with interesting games. Commercial kiddie rides often use simple but colorful equipment. 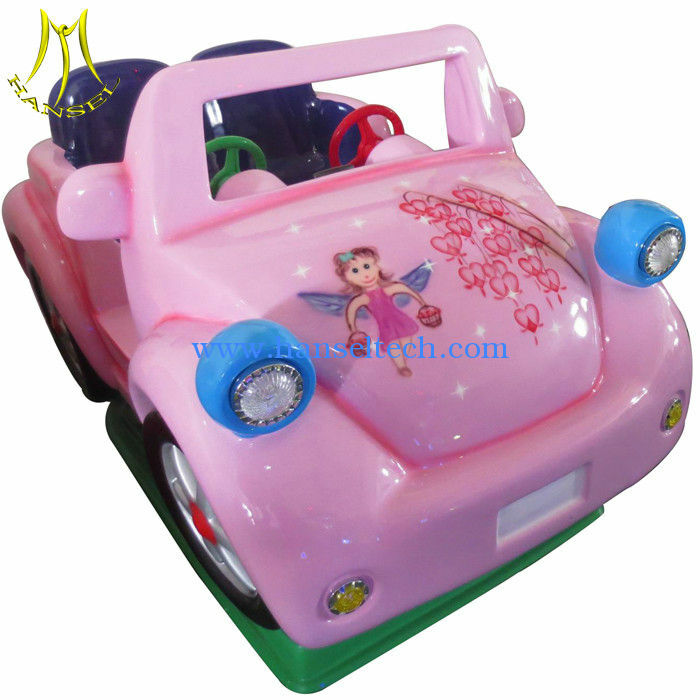 There are various designs - car, motor, animals, boat, airplane, etc which are quite attractive for small kids. 4. Some kiddie rides are with games. Kids can play games while ride rocking. 5. The machine stops when the set time is up or game is over. 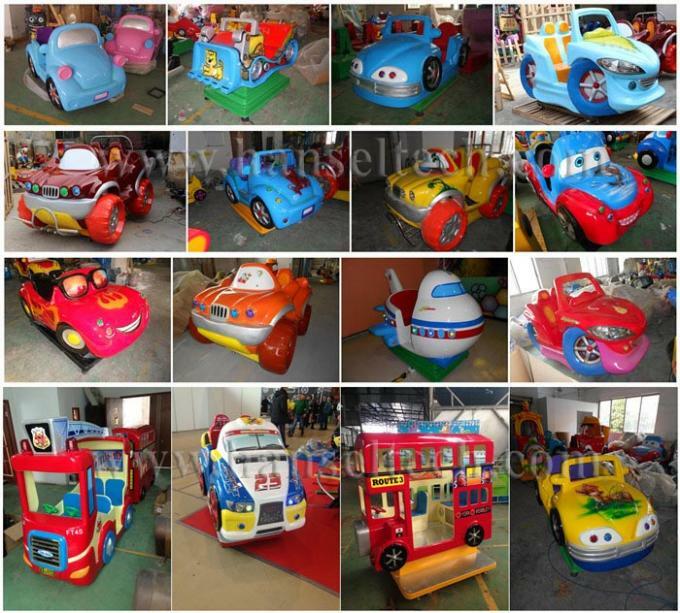 Kiddie rides is also called coin operated rides, kiddie rides for sale, coin operated amusement rides, fiber glass kiddie rides, coin op kiddie rides, , fiber glass rides, coin kiddie rides, amusement park kiddie rides, funfair kiddie rides, electric coin rides, coin kids ride, fiber glass toy rides, amusement kiddie rides etc. 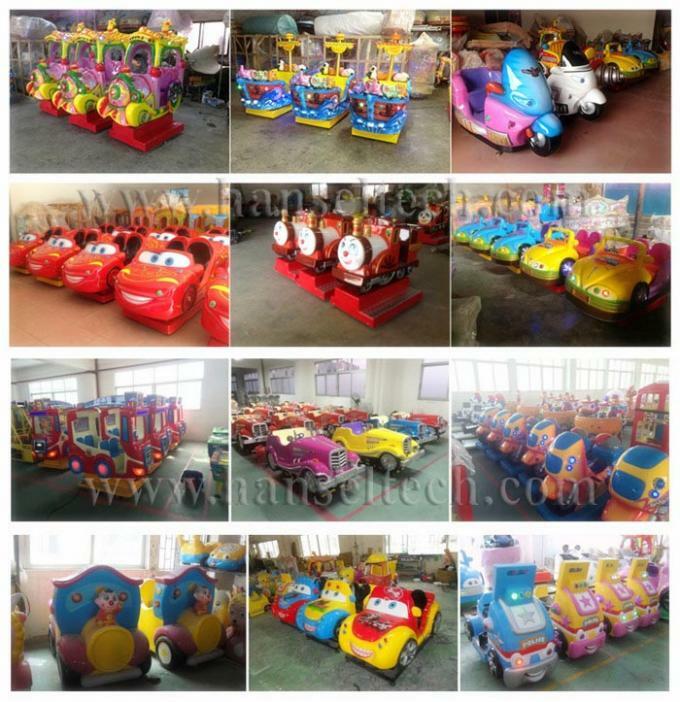 2.Why should I do kiddie rides business? Coin operated kiddie rides are common amusement rides for kids fun. 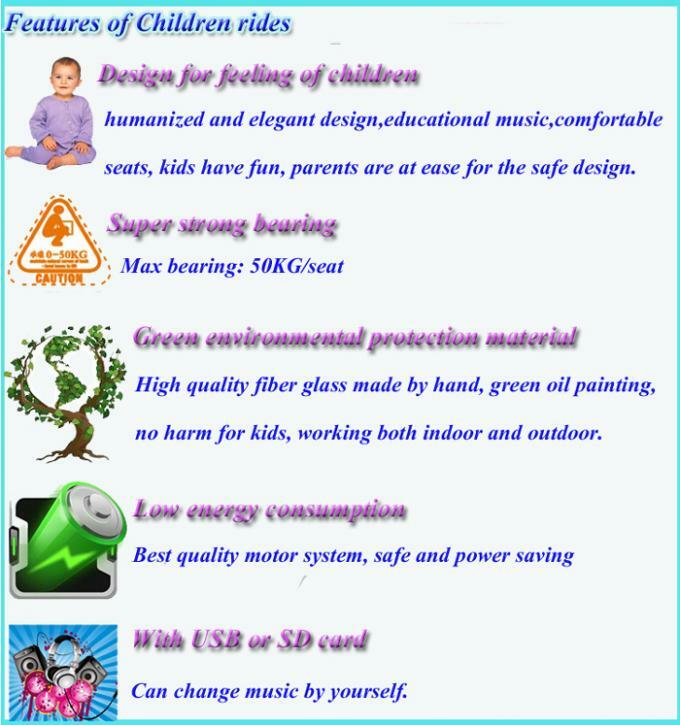 Kiddie rides busines is easy for management. 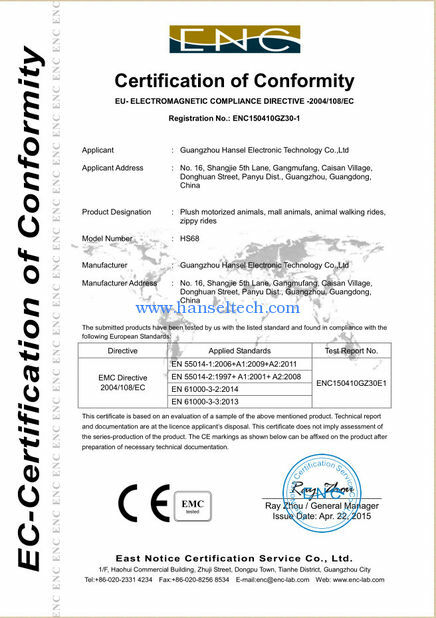 The operator have various choice to run business in the game center, outdoor parks, street, shopping mall, supermarket, amusement park, stores, restaurant, hotel, KFC, etc. As for there are different designs and shape, the kids are easily attracted by them. 3. 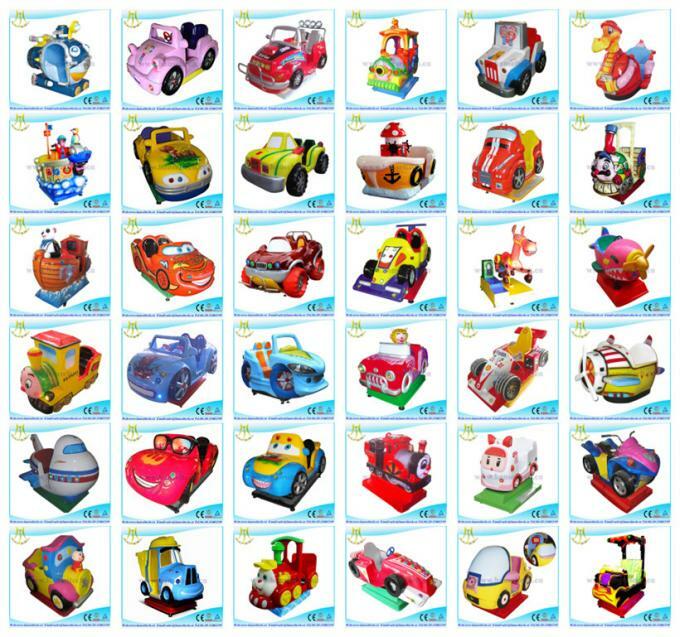 How long time to get profit of kiddie rides business? 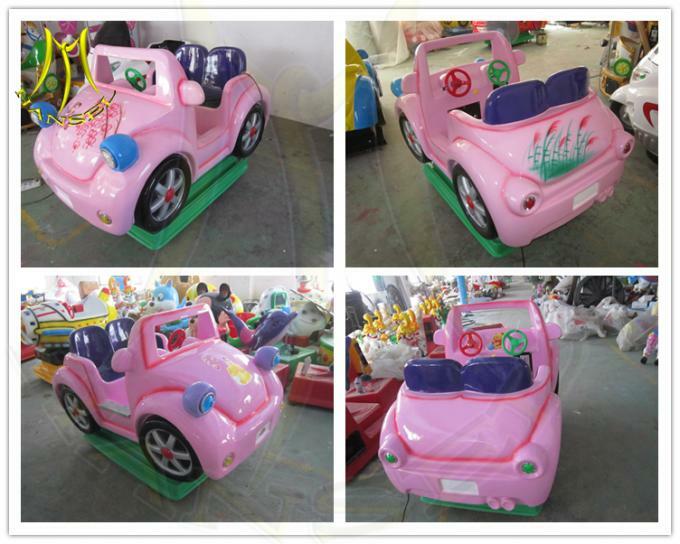 For small kiddie rides, the product cost is low. If you put them in a crowed place with many children, you can get money back in 15 days. 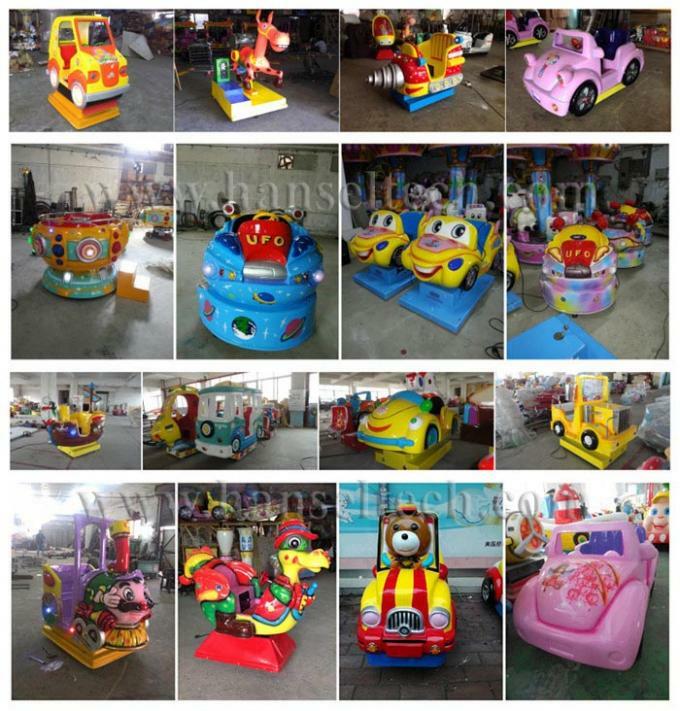 For luxury kiddie rides, the operators usually can get money back in one month.